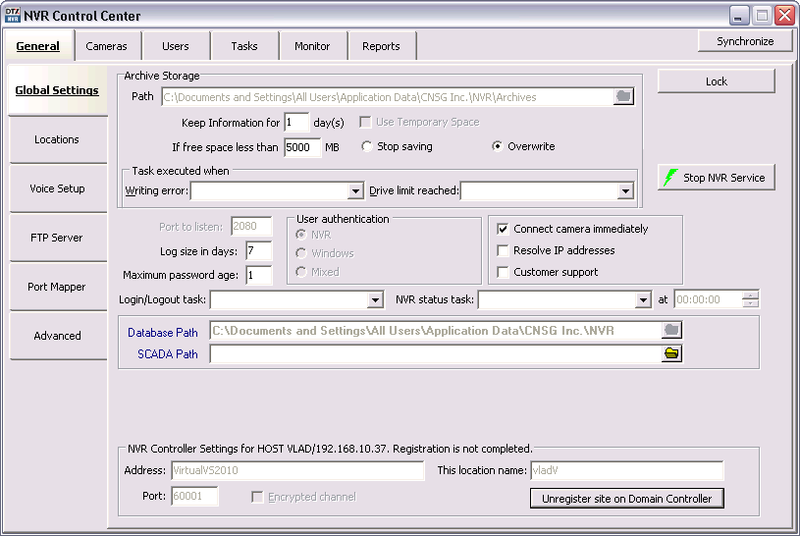 To register NVR on the Domain Controller as a member of domain network the NVR Exclusive Master User should send a request to get connected to the NVR Domain Controller. The authorization of request will be required — credentials supplied by the NVR Domain Controller administrator should be provided. In the NVR Control Center go to General — Global Settings. Under the NVR Controller Settings for HOST at the bottom enter the NVR Domain Controller IP address or IP name in the Address and Port number — more fields/buttons appears. Enter the NVR name in to This Location Name. Click Register/Unregister site on Domain Controller toggle button. Registered — registration request is successfully completed. A request to unregister an NVR on the NVR Domain Controller to exclude this NVR from the domain network can be initiated on the NVR or on the NVR Domain Controller side. 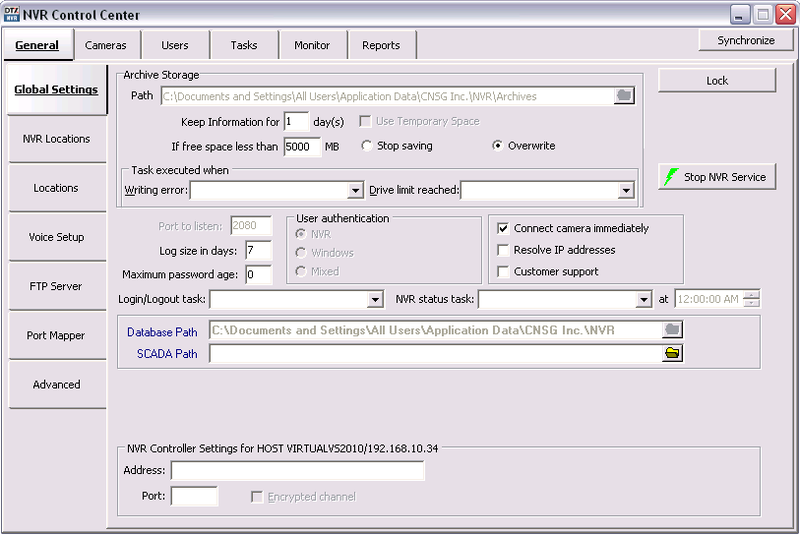 Provide credentials supplied by the NVR Domain Controller administrator to send the request.